Creating an almost serpentine effect, the micro chain detail on this 2.5mm design ring is stunning. 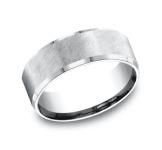 Beautiful worn along or stacked for a more modern look. A beautiful cobblestone pattern graces the surface of this 2.5mm design band. Beautiful worn alone or stacked for a trendier look. 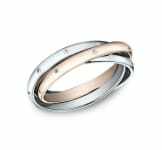 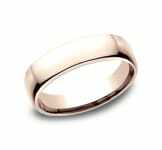 Softly hammered and polished this rose gold 2mm stackable band provides a slight step away from traditional and into the realm of modern sophistication. 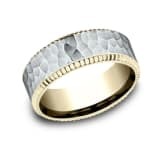 Mix and match color for more stylish looks. 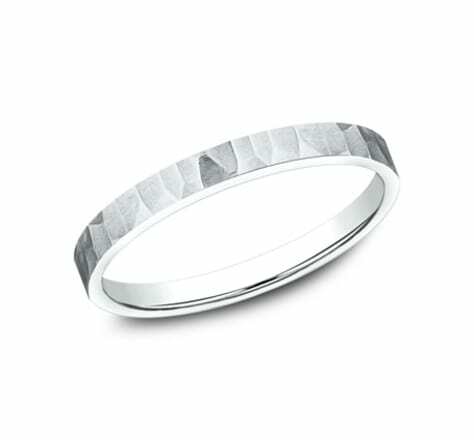 Softly hammered and polished this white gold 2mm stackable band provides a slight step away from traditional and into the realm of modern sophistication. 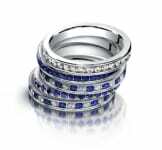 Mix and match color for more stylish looks. Softly hammered and polished this yellow gold 2mm stackable band provides a slight step away from traditional and into the realm of modern sophistication. 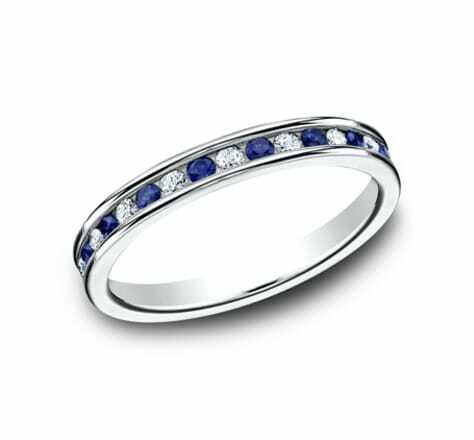 Mix and match color for more stylish looks. Raised triangles on this 2mm band create a diamond cut illusion. 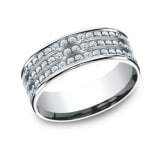 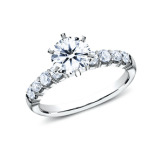 Dazzling as an accent ring or stacked together for a trendier effect. The hand hammered finish creates a distressed look on this otherwise classic 2mm band. 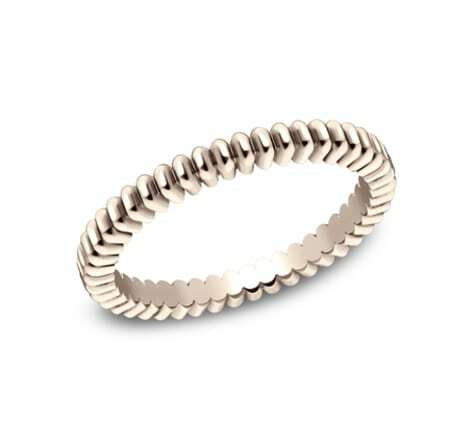 While this ring is gorgeous on its on, wear it stacked for a more stylish look. The gear cut profile creates interesting movement on this 2mm band. While stunning on its own, this ring is a stand-out as part of a trio of stackables. 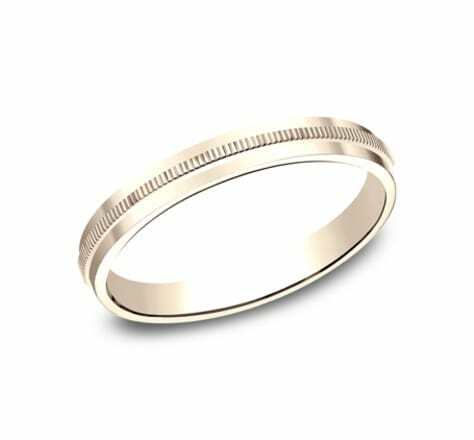 A dainty milgrain detail graces the center of this 2mm band. 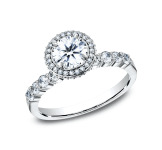 Beautiful alone or stacked for a more contemporary look. 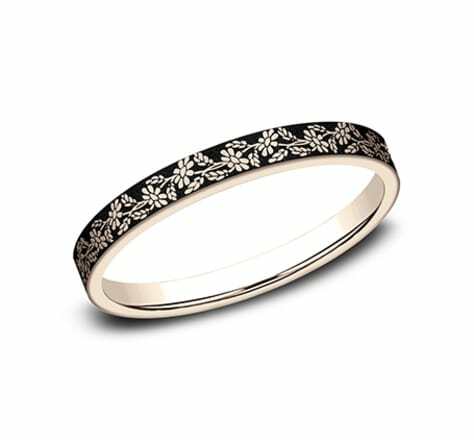 This simple 2mm band includes a delicate center rope pattern. 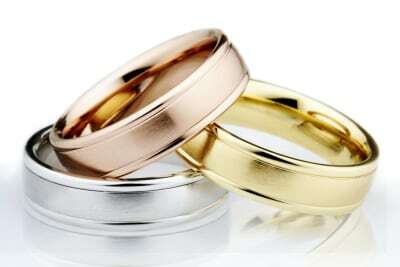 Wear this ring alone or stacked for a trendier effect. 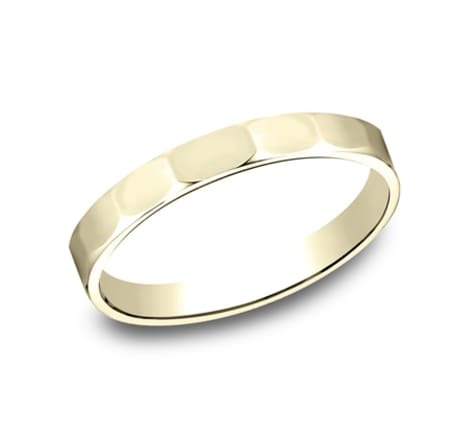 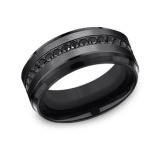 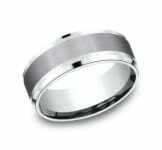 This 2mm band features organic scalloped edges and a satin finish. This ring is beautiful stacked or alone for a simple elegant look. This elegant Rose Gold 2mm diamond band features 25 Pave' Set ideal cut diamonds spread eloquently in groups of 5 eternity fashion (.25ct). 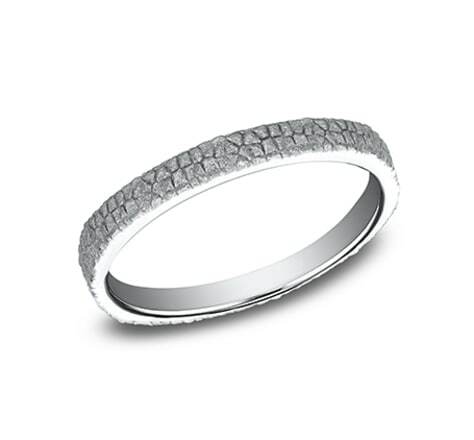 This elegant White Gold 2mm diamond band features 25 Pave' Set ideal cut diamonds spread eloquently in groups of 5 eternity fashion (.25ct).